Do you think that you will hit someone while driving a stick shift? Clutch Control & Gears Explained! - Learn the Easy Way to Drive a Manual (Stick Shift) Car and Pass the Driving Test With Confidence! Whether your answer to the poll is yes or no, if you will follow the below-mentioned steps in your real training, I guarantee that you will start driving a standard transmission car in a matter of days, of course you will not hit a tree or someone with this training. So today I will explain you step by step on how to drive a standard transmission car. 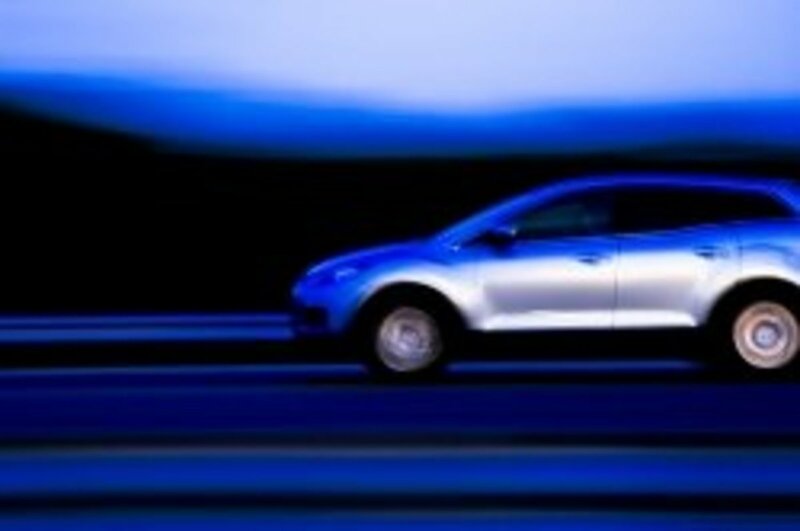 The two main factors for successfully driving a standard transmission car are patience and confidence. These both factors not only apply to the learner but also to the instructor. Day 1 of learning a standard transmission is very important and you must find a large safe area to practice driving the car. Try to learn in an area where there is no or little traffic, pedestrians, or, obstacles. A learner must hire a driving instructor with the car that has brakes in front of both seats, I mean driver’s seat and front passenger’s seat where the instructor is sitting because sometimes it is not possible to avoid crowd and when the learner loses confidence and is unable to hit the brake pedal, the instructor can to avoid injury to pedestrians or a motor vehicle accident. Now in step 2, only instructor and learner should be sitting inside the car and there should be no third person in the rear seats to avoid distraction. In this step, pull up the hand brake or parking brake of your car and press with your foot on the clutch, brakes, and accelerator. Your instructor will make you friendly with them. Remember, clutch is to be pressed for changing gears, brakes to stop the car, and accelerator to the move the car. Now, your instructor will make you familiar with the shifter. For example if your car has five gears, first one in front, second one in back, then third one in front and fourth one in back and then fifth one in front and reverse gear at the back. Neutral is always in the center. All the gears are mentioned on the gear stick and need to be understood before utilizing. 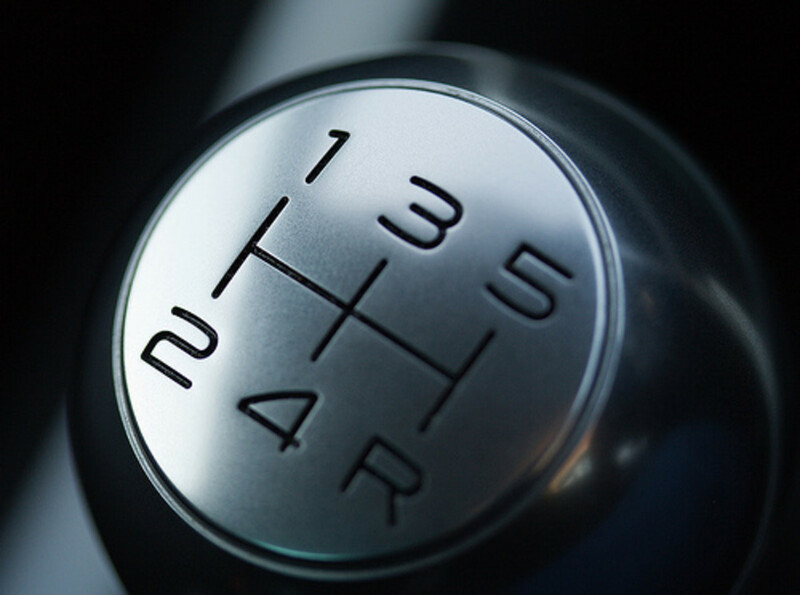 You do not need to use third gear until and unless you are familiar with starting to use first gear and second gear with the manual transmission because using higher gears or high speeds in the training period can make you lose control on the car and cause an accident. 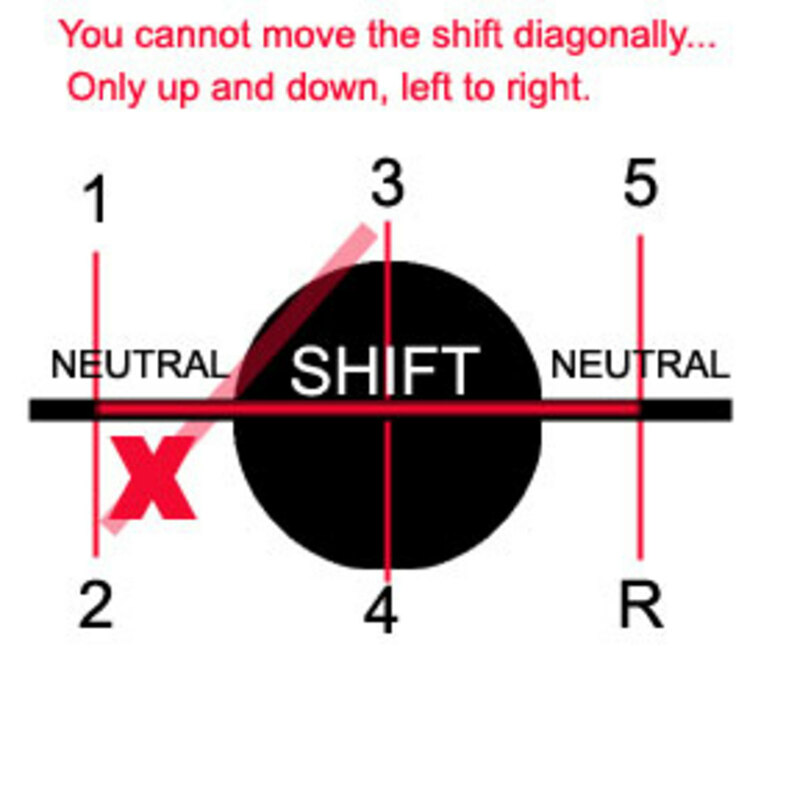 Now before starting the car check if your shifter is in neutral. Okay it’s in neutral now what. Now start the car, release the parking brake, and press with your feet on the clutch completely. Now apply first gear and release the clutch slowly and slowly and also press the accelerator a bit, remember only a bit or the car will turn off with a quick jerk. This is the most important step for beginners. 50% of your driving is complete is you learn the first gear and then shifting other gears while the car is moving. The most difficult part of driving a standard transmission is to make your car moving and that work is accomplished with the first gear because your car will not pick up on other gears and if it can, do not do it because it will put unnecessary pressure on your clutch plates and gear mechanism causing wear and tear of the system or a complete burnout in a matter of months. First of all, you need to learn how to use clutch and accelerator simultaneously, very little of that will not move your car, very much of that can stop the car with a jump or jerk, so your both feet need to work simultaneously so you need to practice it several times until and unless you consider turning the second gear. I remember it took me two days to learn the first gear, I was too slow. No no. Everyone is not like me. Some people learn it very quickly. Just you need to concentrate. Now when you are all set with the first gear, give some time to the reverse gear. Once you have learned the first gear, it would not be really difficult for you to understand the second gear. Once you are confident about first and reverse gears, you are all set to move forward with higher speed gears. Now watch this video on how to drive a manual trasmisson car. Now in step 7, start the car, release the parking brake, press the clutch, apply first gear, move the vehicle, and when the car is in moving a little bit, press the clutch again and apply second gear. Now your car will be moving really smoothly in second gear. Now stop the car and do this again and again until and unless you are familiar with neutral, first, second, and reverse gears. Now in step 8, again repeat all the steps till second gear and then use the third gear for higher speeds. Slowly and steadily, you will not be in need of a safe area to drive as you will get familiar with all the gears, clutch, brakes, accelerator, and other things including left and right indicators, but then also avoid driving initially in high-traffic areas and on streets with hills. Now comes the most important step where not only beginners but sometimes old car drivers lose control and that is handling a car uphill or on an incline. When I was learning driving a standard transmission, my instructor gave little time to drive uphill and that is why I lost control one or two times with my girlfriend sitting on the passenger side and that was a distress for me. So what I did is that I chose an isolated hill and started learning to drive my standard car uphill on the slope. I needed to use parking brakes many times but in two or three days, I mastered it. Now I will tell you how to do it. Take your standard car to a nearby hilly road, drive on until you reach a point where you will go back down unless you apply a brake, stop your car with the pedal brake, pull on your hand brake, now apply first gear and use clutch and accelerator simultaneously and at the same time release the parking brake. This time you will need to use a little more acceleration as it is uphill. If your car stops with a jerk, pull on the hand brake, do the procedure again and again until and unless you are able to take your car up the hilly road. Now, when you are able to do it with hand brake, practice doing it without parking brake or hand brake. Another important thing is to park the vehicle in reverse which you will also learn slowly and slowly. Always remember that the reverse gear is very powerful so you need to slow down while doing that. If you do it quickly, there are more chances of hitting something on the road as you can easily lose control in reverse gear. So above were a few steps on how to drive a standard transmission car. I hope you will get rid of the fear of driving a stick shift car and will start driving on your own in a matter of days. 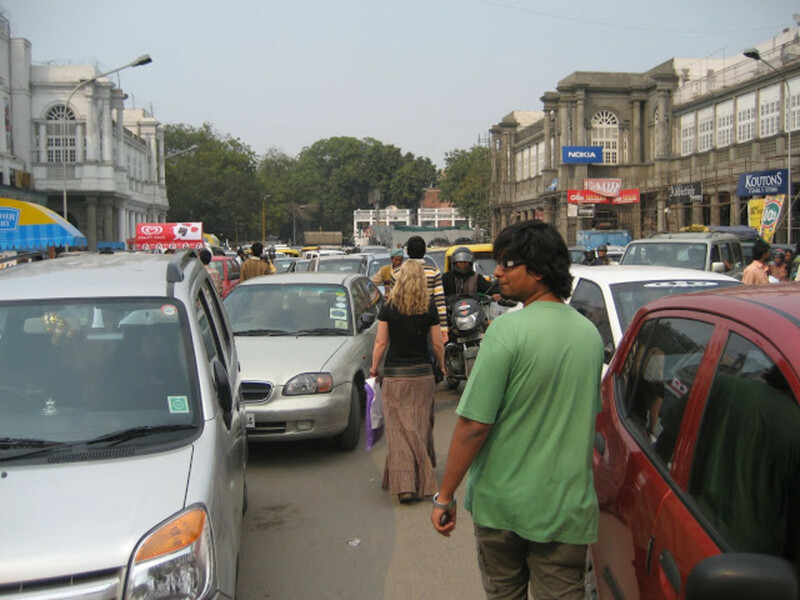 For advanced learners, if you want to drive in high-traffic conditions then there is no place better than Delhi in India. Come to my place and I will teach you how to drive a stick shift in traffic that is only crawling where you need to apply the first gear several times in a minute. For comments, where new learners are asking can we press clutch every time there is a turn or something, I would say no because pressing clutch unnecessarily burns out the clutch and gear system and also fuel efficiency of the car is drastically decreased so apply clutch only when you need to shift gears or when you need that your vehicle will touch the other car in front of you if you will not do that. Thank you for the information.Information is wealth. Gear changing is very difficult. I left driving class in middle. I always wonder what will happen if gear would be shifted to reverse accidently while car in full speed. This caught my eye, particularly because I drive a manual transmission. This is a very good explanation, and very good video...However, practice makes perfect. For me, it didn't matter how well I understood it, or how many times I watched others drive, I still managed to stall the hell out my car for the first few months driving it. Each car is different, too. I'll stall a car that I don't have experience driving, too. You all are welcome. Thank you so much for liking this hub. I am glad that I was able to teach you how to drive a manual transmission car. If it's serious then Don't ask me to do that again. Thanks a lot! Great lessons an tips! Thank you, this is a very good lesson for new learners. soni2006 is a good teacher. i have gone for more than 35 classes, still not able to drive a car. i am so scared. can someone lend me some confidence? I am a new car learner.. Can someone please explain the steps to be followed whilst using reverse gear. all of the gears for. 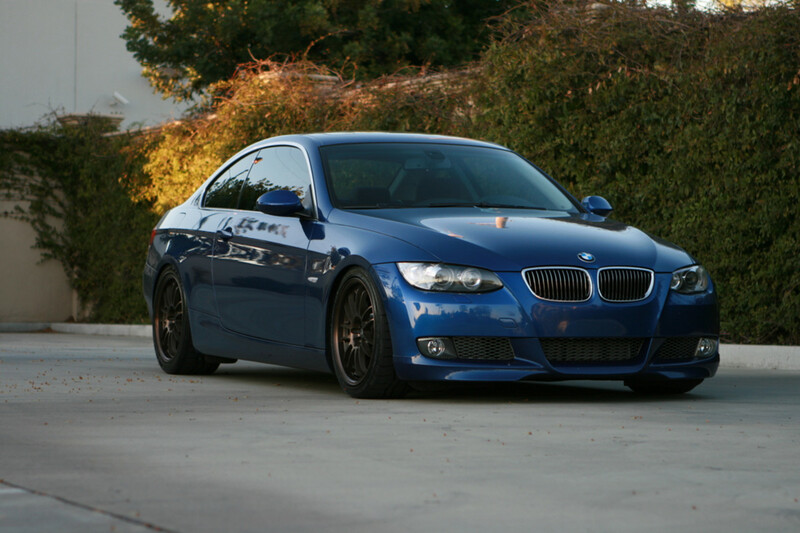 Driving a standard from first gear you dont even need to use the clutch, you match the shift (ex. go first to second aroungd 1000 - 1300 rpm and the trans will shift into the next gear without using a clutch. Truckers dont shift with the clutch everytime, that's what wears the clutch out plus coasting with the clutch in does the same thing. When the rpms are right you a:shift 1st to neutral and then into second gear without using the clutch, and the same for the next gear. It takes practice. am from nigeria thank u 4 some lession u mention. can i always apply clutch when i pull break, is it necessary? 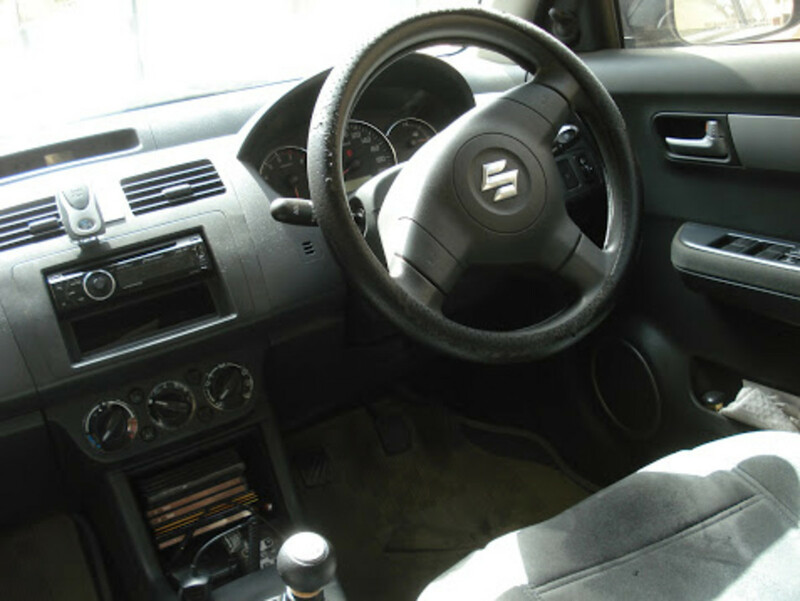 Today was my 1st day at driving school with manual transmission old maruti suzuki esteem. Now i know what will be taught to me in next few days, i think information you ve provided will be grt help for new driver like me. thank you very much now i can move a car to the second gear.i did exactly what you said. Thanks, as information are very nice. As i m a new learner, the steps given by u are very useful for new learners as well as the people who drives a car. Explaination written by u are very nice. This is how you move your car after you have to stop on an uphill slope - Shift to first gear, while still pressing the brake down. Now release the clutch slowly to the point of 'biting' when you feel the rpm coming down. Just take off your feet from the brake. You will find the car will not roll back. Then give a little more gas than usual. You will smoothly roll forward! I am learner. I always struggle on ascents. I always move backward sending a shock wave to the vehicle at my back or jerk and stop! After reading your hub, just got out, started my Maruthi 800, on the slope just in front of our house, I just manuevered the clutch and gas and just hung there without moving. Wow! What a blessing for Indian roads and traffic. Thank you! is the Indian cars also in standard transmission system? Yes this is very good for new beginers. I brought an small old second hand car(Maruthi 800 AC.) where I have no idea at all. After having a glance on this post I got a good confidence for kickstart and started learnt in a week days now I am driving alone my car. I suggest to be careful look to the front,back right left right while turnings. Safty first. Do not over take unless required. Steering control also plays a major role with shifting of gears. Happy driving. Enjoy a cool ride. i m scared i have my first driving lesson tommorw..bt reading dis made me feel comfortable wid driving! very useful for who all are trying to learn driving with proper way like me. Hello William, if you will press too hard then the vehicle will stop with a jerk but if you are in traffic and would like to move slowly then you can press a little clutch with little brake simultaneously. @maverickserp and fashion, thanks a lot dear. Great article.It is very helpful for new drivers. This hub is perfect for those who just start learning or want to learn how to drive a manual transmission car. what will happen if i apply a footbrake while i am driving on a second gear without using a clutch? What is this metaxeirismena aytokinhta? Is this a car or something. Please elaborate. Thanks for your effort .You did the job well,this steps would really help the reader ,it easy to understand and well written.My dad give his metaxeirismena aytokinhta and in that I’m having a driving lesson. I"LL KEEP IN MIND patience and confident. You can join any driving learning school in your area. Practical classes from my end is very difficult as I have little time to give the classes. By the way, if you have any question, let me know here. Hi Soni, Thanks for the training article, which was very useful..Could you help us in pratical classes as well. Thanks for step by step instuctions to learn and drive the car. very much helpful thank you. Thanks it will really help me ,I am learning to drive presently. Very helpful piece of article. Thanks. I thing there should be a brake that doesn't need to be released while going uphill. It's amazing that so many people can't drive a manual transmission. It's just something I think everyone should be able to do and it's not hard to learn and comes naturally after a short while. Thanks for taking your time out for this post. It was really helpful. thanks for your posting , this gave a confidence to start learning car .. Thanks. My steering wheel is locked how to unlock it? @Art of Legend India, thanks for your visit. @Hardlymoving, yes i agree with your tips for longevity of the clutch. People who ride on the clutch need an early replacement of clutch wire and in severe cases replacement of all clutch plates mechanism. * The time of greatest wear on the clutch disc is during 1st gear engagement. To reduce this wear and avoid a costly clutch replacement job, apply gas only when you feel the clutch is starting to move the car. Not a lot of gas is needed ... then raise the clutch pedal and apply gas pressure together. * When at a stop, place the transmission in neutral and take your foot off the clutch. Keeping your foot down on the clutch will place wear on a clutch component called the Clutch Throw Out Bearing. * Never, ever ride the clutch. That's where instead of using the brakes on a hill, you slip the clutch to keep the car from rolling back. Thank you for information. your method is very easy for learning car driving with safety.When we shall learn car driving I shall follow your method. nice hub. Thank you so much thehands, kellydove, regis, and Kim for sharing your experience with stick car. Yes going uphill and maintaining the stick car in a constant speed with proper use of clutch, acceleration, and brakes is the toughest point. There are still many people in India who feel afraid of going uphill; I was one out of them two year ago. I am surprised that not everyone knows how to do this. I think that everyone should know it. Thanks for putting it out there for them to learn. I remember teaching my wife to drive a stick shift. It was in a small Toyota. She did fine until we went up a hill at probqbly a 45 degree angle in Pittsburgh called, Potoma Avenue. Since the car's rpms were dropping drastically as she started up the hill, I told my wife, Jennie, to shift into 2nd gear. This done, the car (Dodge Colt) had lost so much momentum that 1st gear could only save her. Jennie stopped; put both feet on the brake pedal in neutral and said, "You drive, please?" I got out and came around to the driver's side and got inside while my two children sat mesmerized in the rear seat. Jennie slid over the gearshift lever, but not until I had both feet firmly planted on the brake pedal. Whence, we drove up the hill and came home. Interestingly enough, Jennie would take the Toyota out during the time our two kids were in school and practice over-and-over again, releasing the clutch pedal. I will never forget the experience, nor will my children, nor will my wife, Jennie, who by the way, is now an expert shifter. Thanks a lot wsteveg and brix99 for your sharing your personal experience with training and driving a standard transmission car. had trouble with the uphill one time i was caught in a traffic. good thing i was able to handle the right clutch and gas to make my vehicle go up the slope. I was an airline pilot and instructor and we taught 1 thing at a time. A very cool step by step tip which is very useful for beginners and even experienced drivers. Hub up. @md_azamkhan, RogerAD, and charliestork, I am happy that you found my tips helpful enough. Yes I agree #9 is the most nerve racking. I think #9 is often one of the most nerve racking for new drivers. I had pretty much the same sort of instruction as you in regards to learning to start on a hill. That is a great tip about the handbrake too! To be honest, I feel that if everyone learned to drive a stick first, there would be a lot better drivers out there. You really do get a much better understanding of how the vehicle works. Often, I find that people who have only driven an automatic think their car only has two speeds, go and stop, but really it is possible to control your car much more effectively and efficiently by working with the motor. I can't drive but after read this hub i drive slowly. thanks for the great hub soni. @jeanie.stecher, cellconcrete, CarpetDiem, thank you so much folks for enjoying this hub. I will check out your hub earnestshub. Good work soni. I have tried to explain this as well, you have done a good job of it! Driving a standard transmission car is important to know. "... I can still hold the car steady on a hill without the hand break". Ni Soni. I would like to thank you for writing this hub since the content is just very useful and well explained. For me, learning how to drive was not that difficult since I did not manage to join a driving school. What I did was to sneak my dad's car once and when he knew, he taught me the day after next. hehehe... Well,a s for my choice, I'd rather drive a manual transmission car that automatic because of the power it delivers and the speed. Thank you so much case1worker for sharing your personal experience of driving a stick car on hills. I know the most difficult part of handling a Standard Transmission car is remaining them stand without using brakes in hilly areas and I enjoyed doing this when I was a learner. Thanks Electro-Denizen and sporn for your feedback. Please god tell me there aren't people out there learning to drive courtesy of hubpages?! Thanks a lot bluemoscow, borge, vrbmft, and lender for your appreciation. Great tips! I really need to brush up on my manual transmission driving skills, it's been a long time since I've driven anything other than an automatic. I got to hand it to you. Writing a hub on driving a stick shift is interesting. You forgot to mention to have the learner take the hub with them. It has good information. I got really silly reading the hub, thinking of funny stuff I would add, like wearing a crash helmet and that large safe area to practice in. Have it out in the country where there aren't even cows around! Stick is a challenge, but fun once mastered, but being on a hill for the first time or even for the one hundreth time when the clutch isn't working or slippping is enough to send anyone into panic mode and perhaps even have PTSD the next time one is on a hill even when the clutch and all is working. I crrently drive a 1989 Toyota Celica that needs clutch work, I think. Perhaps something else. But it is a real adventure every time I drive. I can drive about three miles somehwat uphill safely but after that the clutch starts to sieze. Fortunately, my office is about three miles from the house. Downhill back home is a cinch!! SO I think that it is a success to write an informative hub on such a mundane, but potentially complicated topic. Great job. Great for beginners. 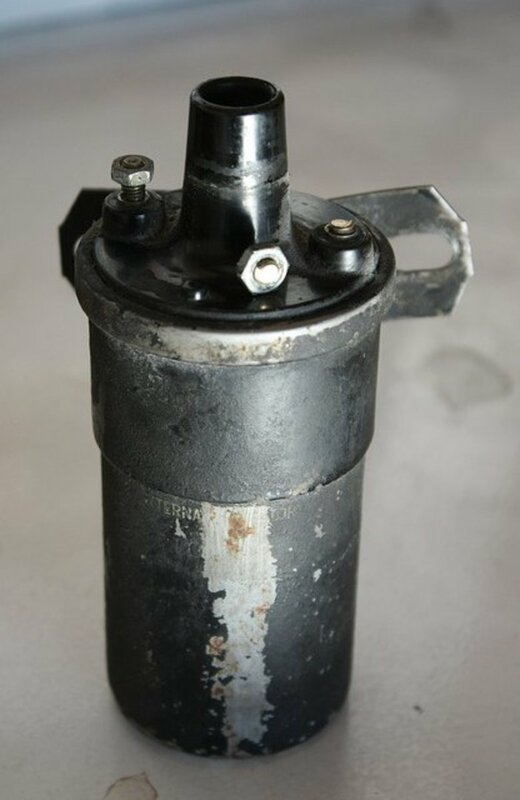 This hub will surely help those drivers who just starting to drive specially drivers of standard transmission. Yes, it will be useful to new drivers of standard transmission because I have laid down all the steps to become on how to drive an ST car.